Now that finals are over (hooray!! ), I can focus on real-life instead of that foggy place called academia. Hopefully, I can also focus on one of my favorite things to do- writing in my little corner of the blogisphere. So, I am very excited to have been nominated for the “Very Inspiring Blogger Award” from http://lilypetal91.wordpress.com/. Coming across her blog was one of those magical blogging connections. We have quite a bit in common, mostly an obsession with the wily creature that is called writing- so check it out- her sense of humor is way better than mine! 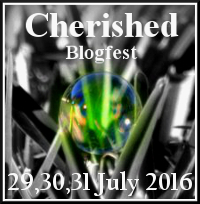 The rules are to thank and link back to the blogger which has nominated you, then post the award logo to your blog. You then nominate 15 other bloggers who inspire you and notify them. 1- I love Christmas. I know that is probably very common, but this time of the year is the absolute best. Hands down. The spirit is contagious and it is practically impossible to be a scrooge (and believe me I’ve tried a couple of times). 2- I have been given this amazing chance to study abroad in London next Fall. I am insanely excited beyond belief, but also terrified. I grew up and live in a small town and the last time I was in London I had two incredible chaperons. We called ourselves The Three Musketeers. I will miss that. 3- I really, really, REALLY want one of those bears from “The Lorax.” If you haven’t seen the movie, it is really cute and I am not ashamed to say so. 4- I was recently asked what my favorite music is, and people get really mad when you say everything, so I decided that I’m a 90s buff. Almost anything, from any genre in the 90s, I love. Thank you to my older siblings for that. 5- I don’t like Twilight. There, it is out. I read the books before talk about a movie was even made, and I actually liked them just because it was so different at the time. But, the movie mania killed it for me on so many levels. Oh, and then I grew up. It really is an obsession that I could only have had when I was fifteen. 6- I have the most amazing parents in the whole world. They have been incredibly supportive of me (and my siblings) when other parents probably would’ve been a lot less loving and understanding. They don’t give me furrowed eyebrows every time I mention how I love writing and want to make a career out of it, they actually encourage it. And, they let me have almost every pet possible growing up, and I really think it has helped make me a more patient person, as well as never wanting to own a guinea pig ever again. 7- I’m a junior in college taking Creative Writing, Psychology, and French- now you might see why some parents might smack their forehead. But, I absolutely love college because of it and am looking forward to Grad School. Now for the blogs that have inspired me– you should definitely give them a look. They make me think I should just stop blogging because they do it so wonderfully, but they mostly inspire me to get better! My husband studied at oxford for a short semester. He was really glad he did it. I am excited for you. Thank you so much for the nomination! I will write an acceptance post, but it will probably be a few weeks from now. Congratulations on your study abroad opportunity!